Paul Fireman is a man with a rare sort of vision—the ability to see possibilities where others don’t. Back in 1979 he saw potential in a fledgling British shoe manufacturer. He became the U.S. distributor, eventually bought the company, and in 2006 sold that company—Reebok—for $3.8 billion. About that same time, Fireman turned his eye toward a totally different enterprise, the creation of Liberty National Golf Club. 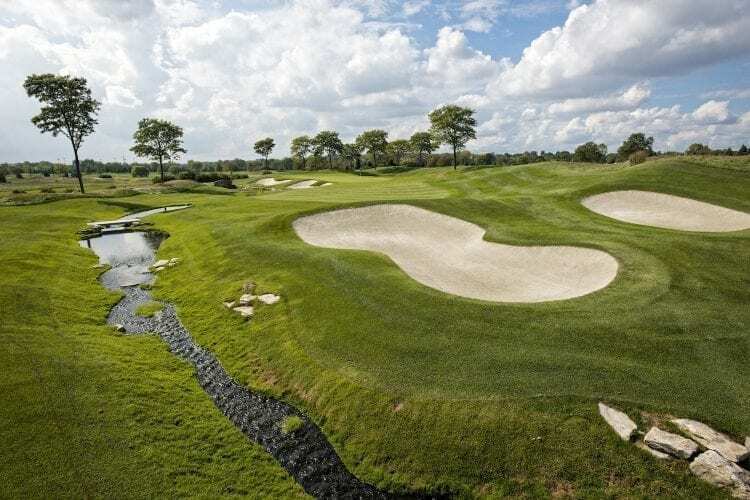 A lifelong golfer who’d begun as a caddie in Massachusetts, Fireman had dabbled in golf course development, but never had he seen a property quite like the Liberty National property. The land stretched along nearly a mile of northern New Jersey coastline with jaw-dropping views of the Manhattan skyline. Just to the south soared the Verrazano-Narrows Bridge and, incredibly, less than 1,000 yards away stood the very symbol of America, the Statue of Liberty. That was the good part. Not so good was that this land—once a bustling center of shipping, manufacturing, and petroleum production—had been derelict for decades. When Fireman first laid eyes on the property it was a wasteland of dilapidated warehouses, decaying piers, and abandoned cars, the rare green patches choked with weeds and debris. Worst of all, the soil beneath was contaminated with hazardous waste. But Fireman knew the key to this property was not the site but the sights, not the land but the landmarks. 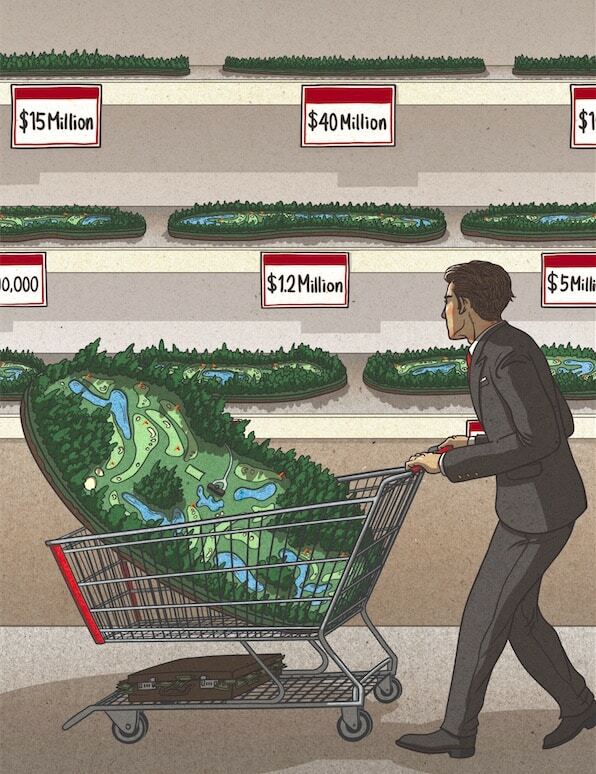 So he set about creating a golf course and club that would be equal to the views. It would take years of land purchasing, government approvals, and clean up. No construction could be started until the entire property was capped with a thick protective umbrella layer. More than 3 million cubic yards of soil and silicate were spread across the site and topped with a mind-boggling 70,000 truckloads of sand, lifting everything 50 feet above the original land. 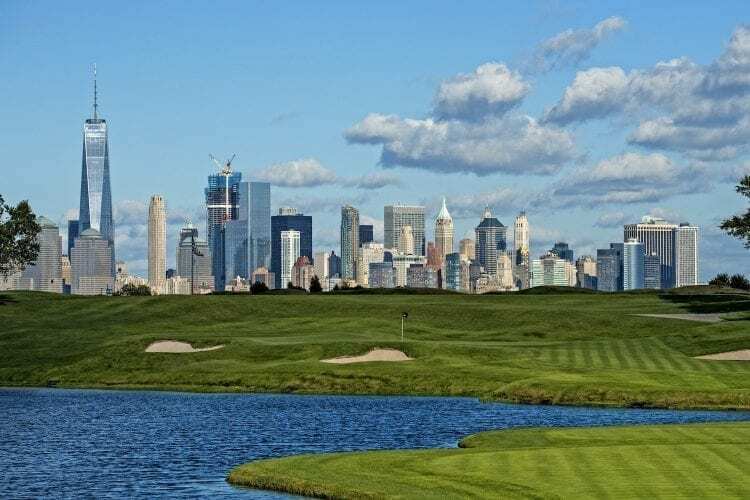 Although the par-72, 7,387-yard Liberty National is contained in a cozy 160 acres, its fairways are expansive with a rolling, links-like feel that ensures maximum visibility of the iconic surrounds. Fifteen holes offer views of the water and landmarks. Many of the tees are elevated to allow full appreciation of both the scenery and strategy. 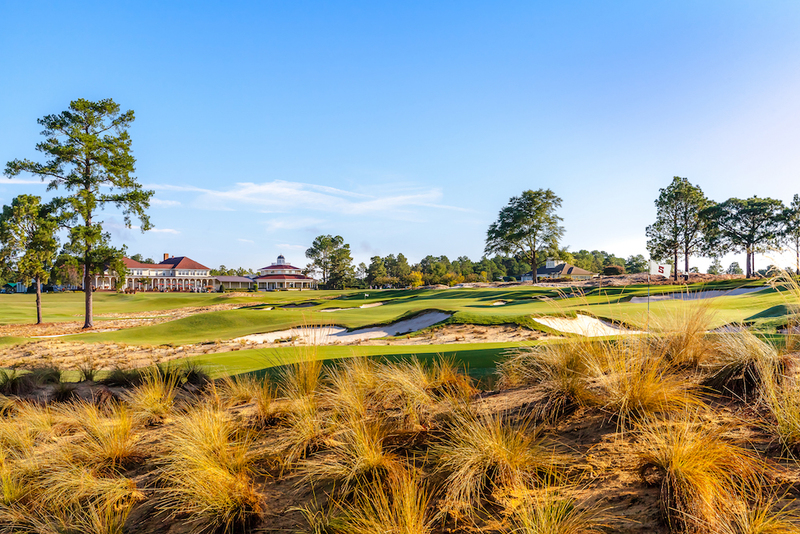 Liberty is a course that asks you—often compels you—to play high-quality shots. Since history shows that few matches go all 18 holes, the routing will be shifted for these matches, with the current fifth hole starting the action. So the current 18th hole will become the 14th, and matches that go all the way will finish on what members know as number 4. That shouldn’t affect the drama as Cupp and Kite crafted holes that are as visually pleasing as they are daunting. It will start on the first of several brawny par fours, with a pond looming to the left of the drive zone, a canted and contoured fairway, and a sloping green guarded by bunkers and water. Liberty’s equivalent of Amen Corner comes early, at holes 5, 6, and 7 in the revised routing, two bruiser par fours and a pond-flanked par three that plays 250 yards from the back tees. 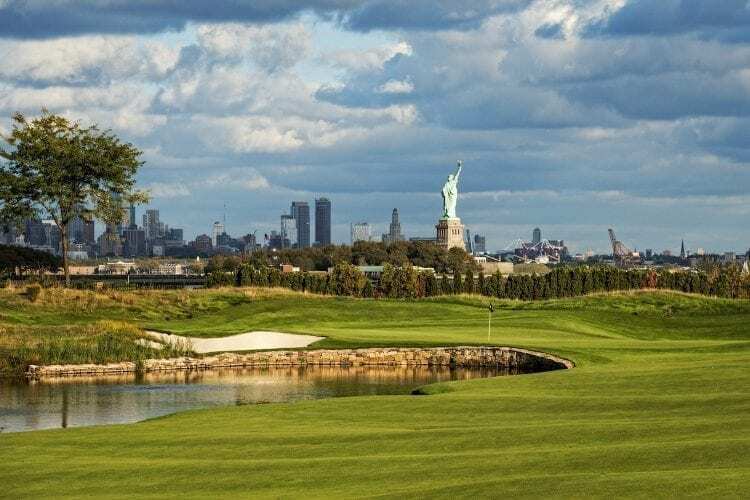 One of the most amazing holes is what will be the 16th, a mid-length par three that plays toward New York Harbor with Lady Liberty so close she almost seems to be tending the pin. And 18 is a par 3, as well, only 150 yards but packed with peril, playing against the prevailing breeze to a tiny target surrounded by sand and marsh. Just to the right is perhaps the best harbor view of all. Behind the 4th green (normally the 18th) stands what Fireman calls “a clubhouse like no one has ever seen,” 65,000 square feet of glass and steel inspired by the Sydney Opera House and constructed at a cost of $60 million. Inside are all the amenities: golf shop and locker rooms, spa and fitness center, library, grillroom, bar and lounge, and a formal dining room, all with those peerless views. 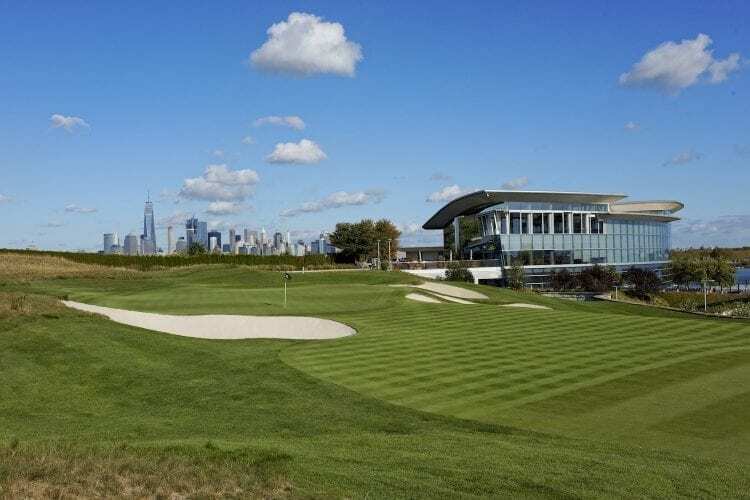 Given Liberty National’s location, it’s more than a golf club, doubling as a businessman’s sanctuary, with a large percentage of the members working in New York’s financial district just a couple of miles away. “We have guys who come here first thing in the morning, play nine holes, and they’re at their desks by 10 a.m.,” says Fireman, who accommodates his clientele with a motor launch that whisks members and guests across the harbor to lower Manhattan in less than 15 minutes. For those more pressed for time there’s a helipad, making this the only club in the world routinely accessed by land, sea, and air. Truth is, Liberty National’s members can come from just about anywhere. 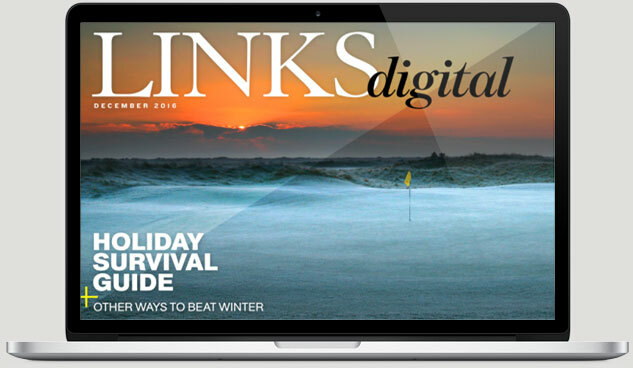 Among those who have joined are Phil Mickelson, Cristie Kerr, Mark Wahlberg, Justin Timberlake, Ray Romano, Rudy Giuliani, and Vera Wang, along with numerous captains of industry. 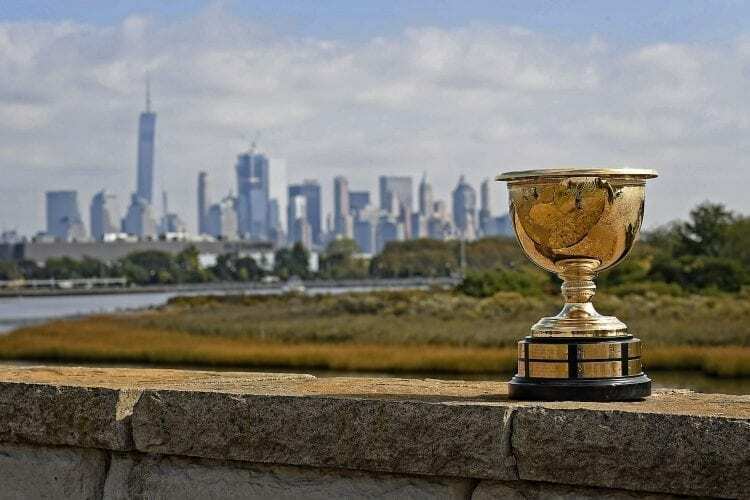 From Sept. 28 to October 1, only two captains will matter—Steve Stricker for the U.S. and Nick Price for the Internationals—and their 12-man teams battling for international bragging rights. And what better place to do so than this close to the center of the universe. 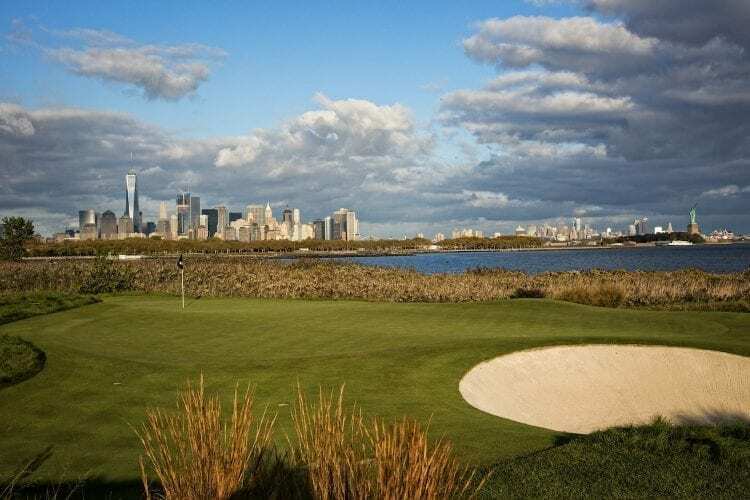 Have you played Liberty National? 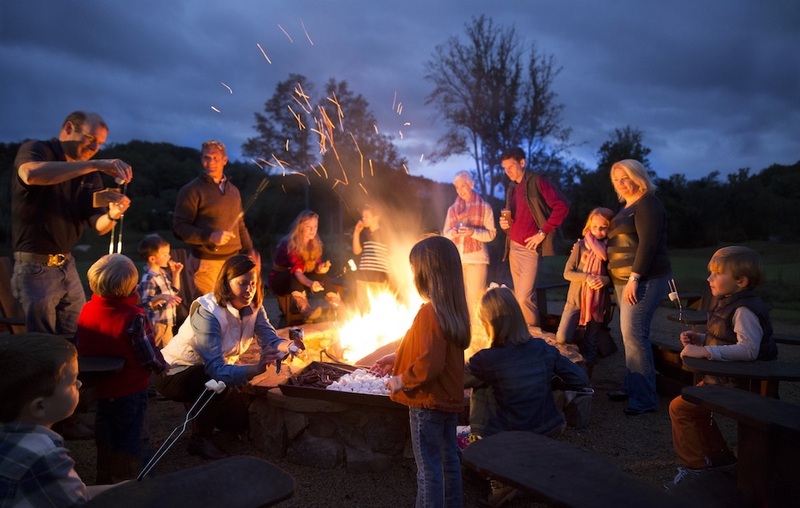 If so, tell us what you thought. If not, would you make the trip to see it? Let us know in the comments!